I like the clever use of negative space to create the reptilian eye, and I like that the mark is bold and solid, but it feels more like a logo for a game or an energy drink. I agree with other comments that the black and yellow looks too bee-like. And when you pull the eye out (ugh, sorry) for use in the overall system, it loses its effectiveness and looks like the company name should start with “O”. I love the concept here, but I think it would be hard to integrate gracefully across platforms and some of the elements seem forced to me (i.e. the eye + hand + legs graphic). It feels a bit too mean to me. And the eye looks too much like Opera’s O. This is the best of the bunch, but I am not too excited about any of them. Far too creepy for a friendly all ages browser. Hi Mike, Thanks for participating in this review. 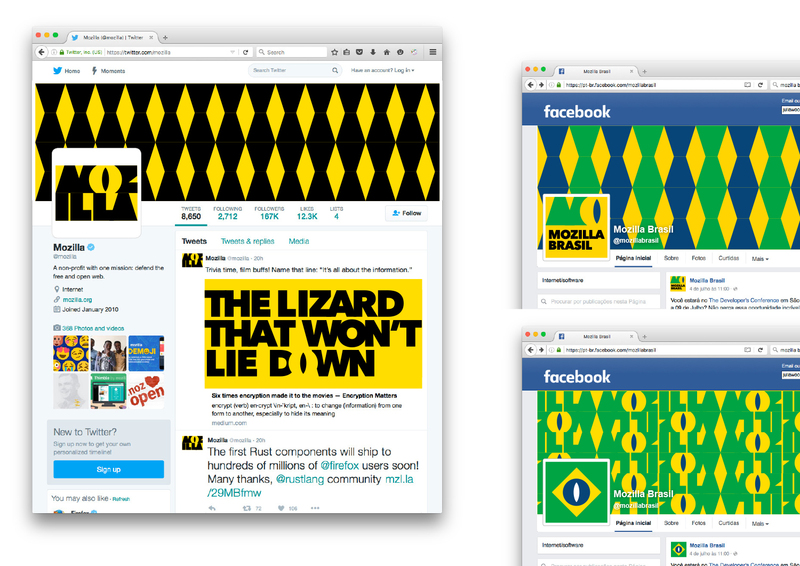 This is a design exercise for Mozilla, the nonprofit that champions the Internet as a global public resource accessible to all. Mozilla is not a browser; it MAKES an open-source web browser, Firefox, but that’s not where our story ends. Mozilla contributes to a more equitable Internet and to the knowledge of its users through things like our encryption campaign, our advocacy toward updated copyright laws in Europe, and our promotion of web education in parts of the world just coming online. To learn more about Mozilla, please visit https://mozilla.org. Thanks again for joining this conversation. I love the Saul Bass vibes I’m getting on this, but on branding strategy terms, it has a sinister look. 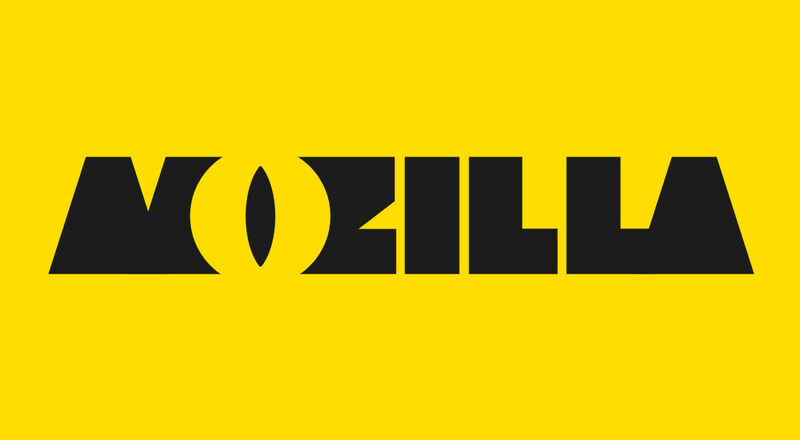 Reptilian eyes are not my favorite images to associate to a brand like Mozilla. Might be cool and quirky at first glance, but just pure Big Brother evil in the long run for me. 2) You DEFINITELY do not want “I see all” sauron impression when thinking about private and NSA/GOOGLE unspoiled browser. 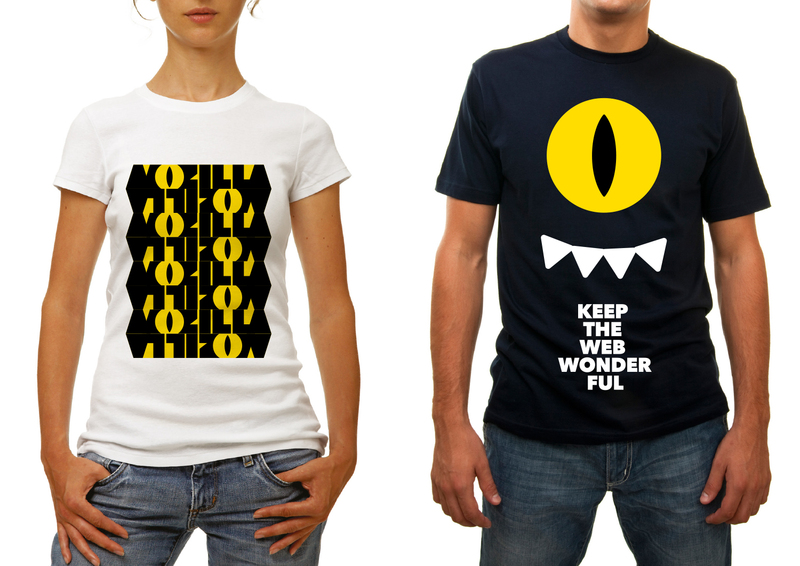 3) black-yellow is okay-ish but the eye… the eye man. Dont. 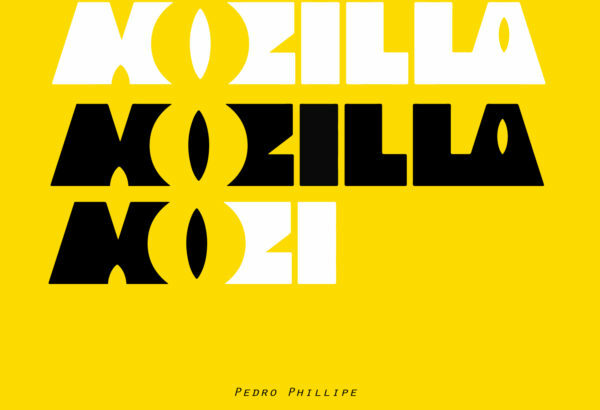 The design is effective, but doesn’t match what Mozilla should inspire. It reminds of the Eye of Sauron and its evil ambition. 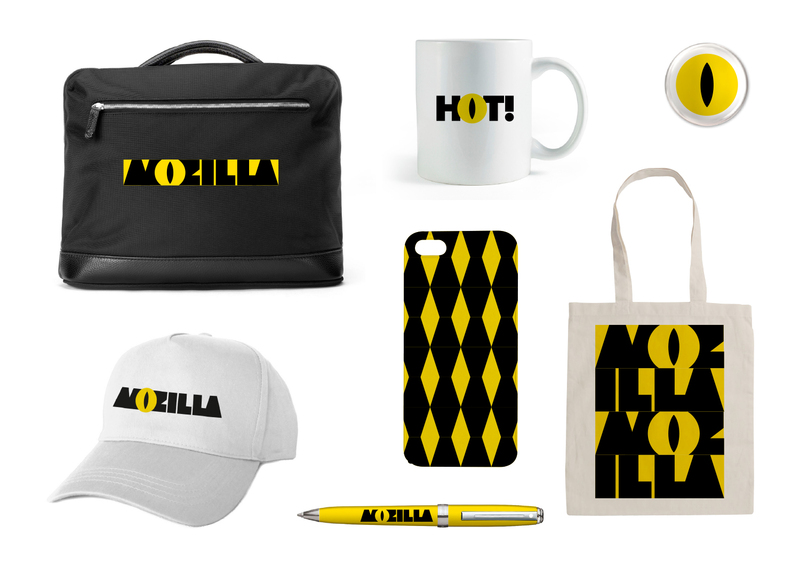 Black and yellow don’t inspire a friendly feeling (don’t forget the community all over the world: employees, contributors, volunteers, users, children, teenagers, adults, etc.). It also evoques female sexual organ. 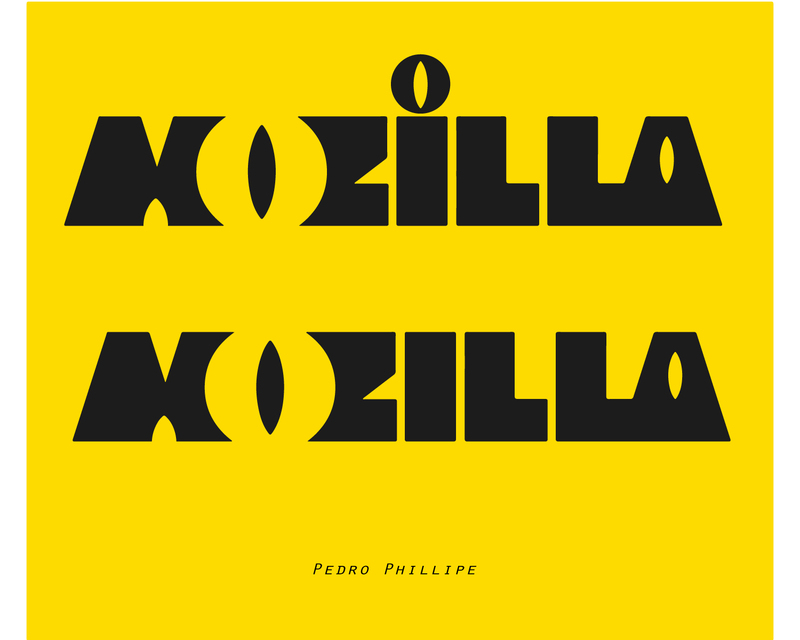 None of the seven design should become Mozilla future logo. Where is the former Tyrannosaurus —strong and beautiful design, you might have capitalized on it—? I thought it would be a reinterpretation of it. The dinosaur allowed personification and projection into Mozilla brand. How will the wide and varied Mozilla community identify itself to a logo that doesn’t inpire any feeling? (I don’t mean this black shape and in a yellow circle.) Firefox logo is an animal, missed–Thunderbird logo is an animal; Gecko and B2G OS logos are an animal; Firefox logo inspired the Fox mascot for Mozilla Foundation branding. Popular Mailchimp logo is an animal. If you wish the community to feel close to Mozilla brand, don’t forget the emotions. Na verdade os outros modelos também são, deviam abrir sugestões dos próprios usuários. This definitely stands out, but can be pretty jarring. The contrast is harsh, the eye is clever and there are some pretty good opportunities for swag with the eye. That being said, other comments about Orwellian overtones, industrial, overbearing, all-seeing eye, etc. are pretty spot on. Eye of Sauron, dominating/looming industrial visage (makes me think back to the towering, looming apocalyptic industrial buildings of Samurai Jack) and oddly enough, IKEA, make me really not like it. Nothing about it makes me think open internet, collaboration, or anything even tech related. Seeing a shirt, mug, etc. like that would be a first impression of a monster cartoon or clever blurb about monsters. Motan mean tomcat in Romanian and that’s a household gas-based heater company. I really like the idea of playing with the reptilian sound of ‘Mozilla’ and incorporating a reptilian eye. I think this is my favorite logo, because it’s bold, very recognizable, and fun. Furthermore, the eye is really easy to play around with and incorporate into other things. The color scheme is also very simple, and much more versatile than some of the other logos (like the impossible M). I think this is also the most memorable! This LOGO will not make sense in colors. Its not cool on eyes. The main LOGO is still ok but the remaining are worst to see. Other designs are not so great to have it internationally. May be changing in colors can do good but still need more designs on the GREAT Mozilla Foundation. Wow. A stylized O-centered design. Probably no one did that one before… oh wait. Nicely developed identity; however, it reminds me of so many other brands for it to be uniquely Mozilla. It’s a mix of CAT and Monsters Inc.
It’s playful, in a kiddish way, although the colors are ‘grown up colors’. So it doesn’t actually give a youthful energy. Just a funny one. It doesn’t give out a digital technology vibe. It’s more of a traditional company (maybe a bit playful) vibe. And the Eye is a bit risky. It doesn’t convey your stated mission, and looks more like big brother is watching you. It might have to do with it being a cat’s eye, which is very observant and a bit sinister. 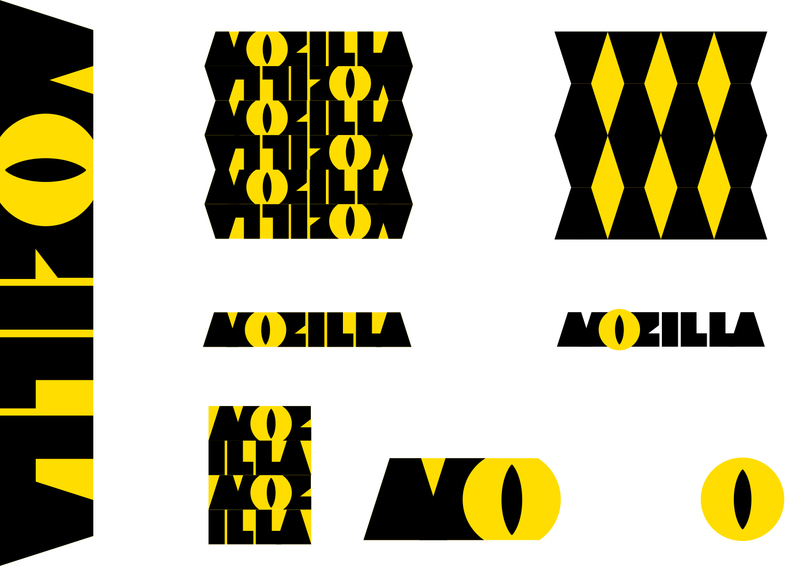 Maybe another eye shape (rotated perhaps like Paul Rand’s IBM) would be softer. However, I doubt that it will totally lose its big brother connotation. The pattern is gets a bit chaotic around the edges. Overall, the eye takes over the identity, and it doesn’t show that you based it on the “zilla” thing and being playful. Possível alterações com o ponto do “i” e também fazendo aparecer o “M’ e o “a”. I just love it. But maybe the font isn’t as readable as I would want a logo’s font to be. I love it. It catches you immediately with allures to Saurons Eye, but also with the Dino that is behind Mozilla for all the time. I think that given the Dino theme that Mozilla has going, people will get used to this Icon – and I like the fact that the ‘All seeing eye’ aspect is a constant warning what the Internet can be if we are not ever watchful (pun intended). Nobody will look past this. Very powerful and I love the imagery. Highlighting the ‘O’ also focuses on ‘open’. The best. Just change the yellow to a light green. When I see this logo I think caution tape and sharp edges. Not to mention the big dilated eye. I don’t see “open” in this logo, if anything I see “keep out”. Like others have said, the eye gives off less of a “your pal looking out for you” impression than a “big brother is watching you” one. Not friendly, inviting, or open. Not a good fit for Mozilla. When I first saw this design, I thought “Illuminati” or “Big Brother”. With an additional branding message putting it into context, it would help to reduce that feeling, but using it as a logo would be rather creepy. For a brand’s design base as a whole, it feels very “Kill Bill”-esque, and I’m not sure that’s really a message you want to send. I’ll admit, the design has grown on me, but first impressions are everything. This one would definitely need some work. Maybe a shield-shaped eye or something, but the rounded eye on its own isn’t going to win hearts. Well this could work, it reminds me too much of Monsters Inc. 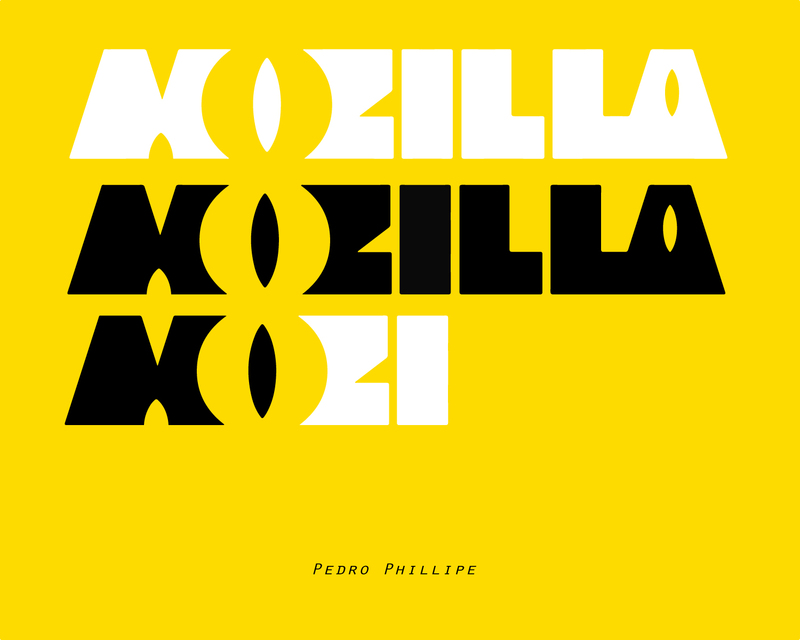 I am really glad to see the designers showing an appreciation for Mozilla’s heritage. I do think that the use of the eye does send the wrong message and do not think that that comments about Sauron are unfair. That said, if this design was further expanded with more lizard related elements, it could be worth another look. First off, I’d like to say that whoever came up with this design did a great job.However, I feel that we should automatically rule out The Eye concept and here’s why. 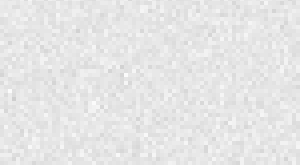 Although it’s very nice looking, having an eyeball on the logo often is associated with spying or tracking of some sort. If you have that in the logo, being associated with tracking is too negative and goes against the mission that Mozilla is trying to support. I love it. 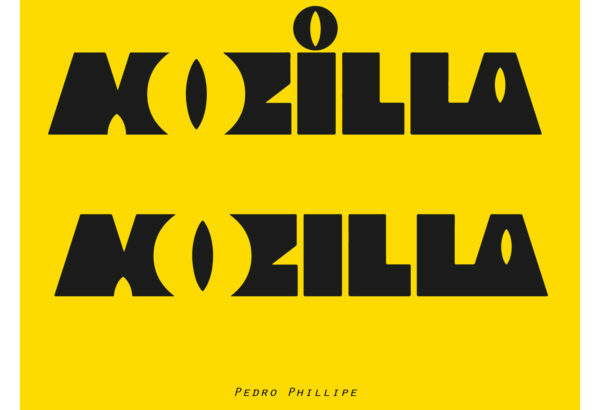 The mark as a whole feels like a “mozilla,” playful yet bold and strong. 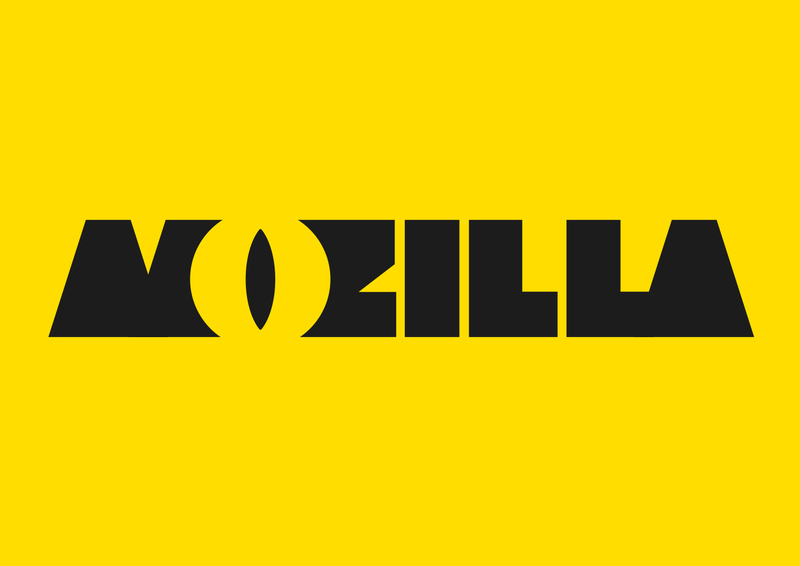 I hear you guys about the Sauron connotation, but since the eye is part of a mark reading “Mozilla,” I think it works. I do think the “dino” connotation gets lost in some of the extensions, however. I wouldn’t be so quick to make it all about the eye. I agree that the yellow and black feels a little harsh–kind of “Stanley Tools.” How about a nice lizard green?